Auto Repair in Silver Spring - Murray's Auto Clinics - Page 30 of 30 - Looking for quality auto repair services in Silver Spring? Visit our website or call Murray's Auto Clinics at (301) 622-6700. There are many reasons that this could be a problem at the emissions testing facility. The most common reasons are a faulty computerized engine control, carburetor, or fuel injection unit. This sensor measures the amount of oxygen in the gas exhaust. It is good to get this replaced outside of passing emissions because it can lead to overheating, higher toxic emissions, and loss of acceleration power. Having one of the parts in your ignition system be defective can lead to high hydrocarbons on your emissions test . The most common parts that break down in the system are the spark plug wires, the spark plugs, or the distributor cap. A contaminated oxygen sensor, leaky injectors, or excessive fuel pressure often cause this. A rich fuel mixture can cause high levels of CO2 and carbon monoxide, all of which can make your car fail emissions testing . These leaks are a result of the MAP sensor in your car not functioning properly. This sensor measures the load on the electronic control system in your car. These leaks are commonly found in the gaskets or vacuum lines of the engine. 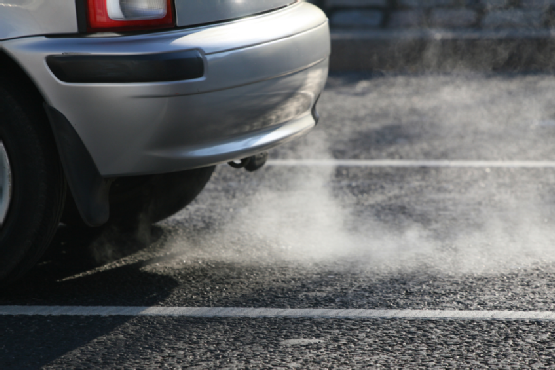 These are only a few reasons why your car may have not passed emissions. Use these problems to begin to troubleshoot what is wrong with your vehicle. Some of these emissions repairs can be done on your own; however, if these repairs seem too daunting, contact us at Murray’s Auto Clinic , where our friendly technicians will perform all emissions repair, along with any necessary auto maintenance service, ensuring your car passes the emissions tests and is back on the road.